An 18-wheeler hauling more than 100 head of cattle overturned in Mesquite early Monday morning, police said. 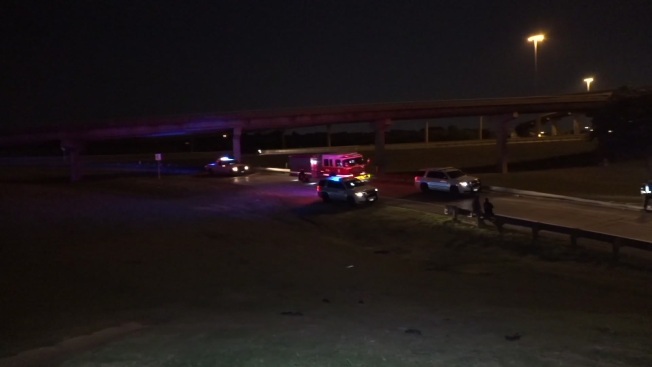 The incident happened after midnight on the westbound ramp from Interstate 30 to northbound Interstate 635. Authorities were working to determine how many of the 135 cattle trapped in the trailer were injured or dead. First responders said the driver appeared unharmed. The trailer was uprighted and towed away shortly before 6 a.m.
Mesquite police are investigating what caused the crash.